Sanju 13th Day Collection 13 Days Sanju 2nd Wednesday Box Office: Sanju has entered into its 13th day (2nd Wednesday) at the box office. The movie has collection has reached the figure of Rs. 283 crores in 12 days of its run. It started on a good note today with a good overall occupancy and collected Rs. 1.50 cr to beat the Dhoom 3 lifetime collection record in India. 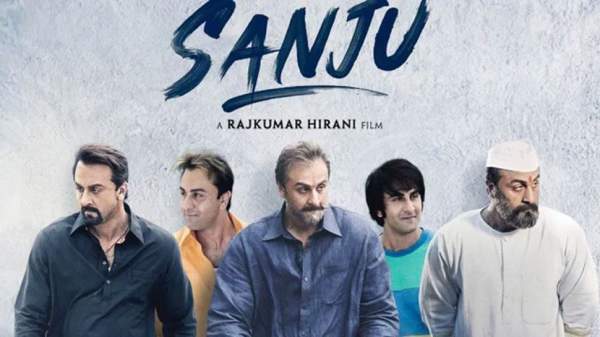 Sanju, the biopic Hindi film made on Sanjay Dutt, has got no real competition as there was no Bollywood release this week. So, it continued to reign the box office and raked in a hefty amount of Rs. 62.97 crores on the second weekend. In 10 days, the flick made Rs. 265.48 crores in just 10 days of its run. As per the expectations, the Ranbir Kapoor starrer saw a drop in the occupancy on its second Monday. But, its collection very close to what it earned on second Friday. It minted Rs. 9.25 cr on 2nd Monday at the domestic box office. So, the 11-days total collection goes up to Rs. 274.50 crores. It has already become the all-time blockbuster movie. As usual, it went further down on second Tuesday. The dip wasn’t much and earned Rs. 8.5 crores making its 12-days run at Rs. 283 crores. The film has already smashed the lifetime business records of movies like Krrish 3, Kick, and Chennai Express in just 10 days. Today, it becomes the 8th highest grosser Bollywood movie of all time in history. It has beaten the record of Salman Khan’s Dhoom 3 which stands, now, at number 9 with Rs. 284.27 crores. Looking at the trend and pace, Ranbir’s film will soon surpass Padmaavat (Rs. 302.15 cr) and Sultan (Rs. 300.45 cr). It will happen by Sanju 3rd weekend collection. Below, we have the list of top 10 highest grossing Hindi movies in the domestic market. If all goes well, then it can target Dangal collection, but chasing Baahubali 2 lifetime earnings is straight out of the question.